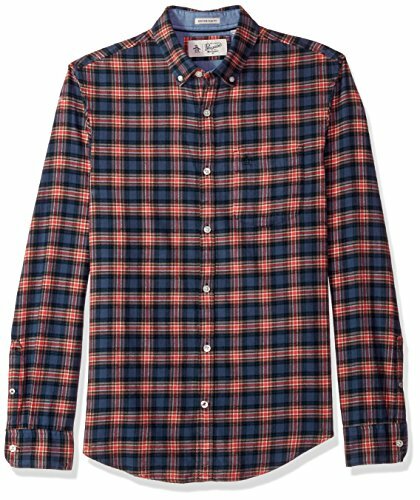 FLANNEL may as well be considered classic Americana. And this long sleeve button-down dress shirt is pretty much the epitome of every single closet that belongs to professionals. The small-to-large motif that crisscrosses in a distinct hue is the perfect addition to add that extra element of style. Wear in a casual business setting with chinos or with a bow tie on the weekends with your favorite loafers.